The JESUS film is taken from the Gospel of Luke and is recognized as the most accurate depiction of the life of Christ ever put on film. More than 5 billion people have seen this powerful movie. Yeshu Satsang Dallas: In Hindi, Yeshu means “Jesus” and Satsang means “gathering of the truth.” Through small study and discussions, we like to explore the purpose and meaning of life from the Bible. 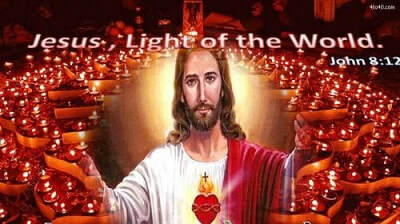 You are invited to join, if you either know or seek to explore more about Lord Jesus. 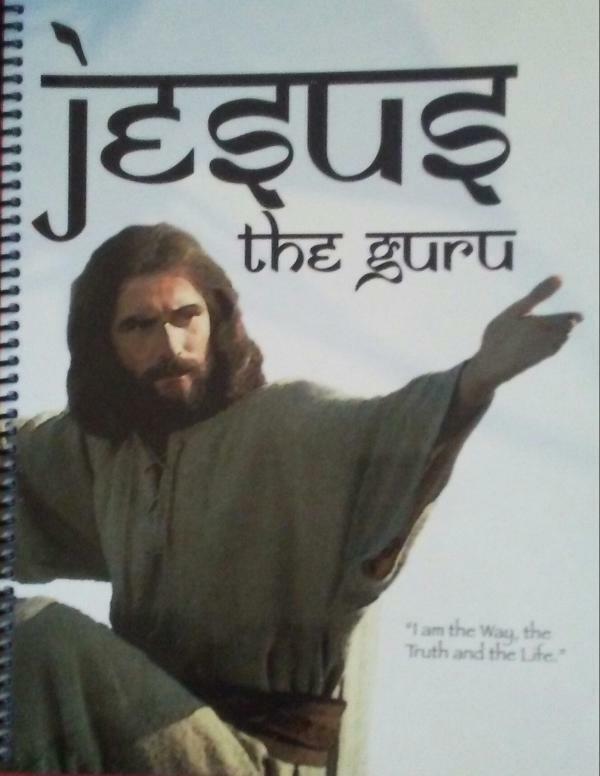 We will use "Jesus: The Guru" book to guide our discussions. This book is available for a small donation at the meeting if you are interested having your own copy. Diwali is the festival of lights, but learn why Jesus IS The Light Of The World! We've started a new series on Demonology. This topic has become quite popular from a variety of TV shows on Cable, Netflix and Movies which involve pushing Witches, Vampires, Zombies, Ghosts, Aliens, Fallen Angels, Nephilim Giants (which did exist) and more! The TV show Paranormal Survivors and Ancient Aliens are a good examples of how manipulation of the masses minds happen through deception, to hide the truth. Come learn how and where demons come from, what their nature is, why they use fear in their victims to torment them, and why they study human beings lives and then use that information against them. We learn these things so we can be equipped to fight against it rather than be deceived and taken in by it! There will be snacks and refreshments. All activities take place in a casual environment so come as you are from work or home and children ages 5 and up are welcome to hang out with the other kids. Desi's Who Want To Know More About Jesus Christ! Come meet other Desi's who have questions about Jesus Christ, and learn what educated Christians believe in regards to this divine person named Jesus born of the virgin woman Mary. Why was he born of a virgin, and why does that make him different from all other prophets, gurus and teachers according to biblical scripture and so on... we can compare and contrast different ideologies based on scriptures from your own religious texts as well and have open discussion if you wish. For 1 on 1 study on the topic in Plano and Frisco area you can text Anu at 917-864-4082 or join our group Fridays at 7pm at Trinity Fellowship Church 932 South Greenville Avenue, Richardson,TX 75081. Anyone of any religious faith is welcome to come learn and ask questions. Feel free to join our meetup.com group pages below which meet at the same place Fridays at 7pm. Solace Music School of Dallas,TX offers Private Instrumental lessons to children and adults. We give lessons on just about every instrument Piano, Guitar, Saxaphone, Drums and more! 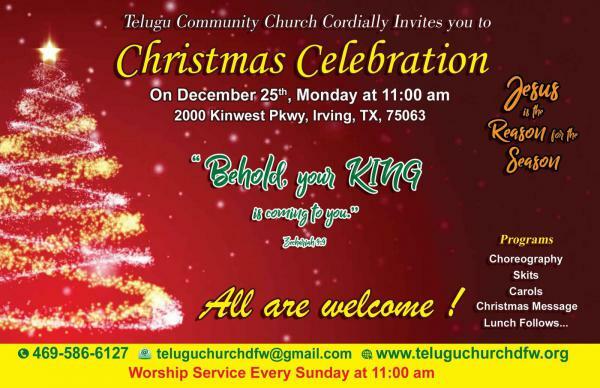 Telugu Church would like to invite you and your family for Christmas Celebrations in Irving. We have a Christmas Service on Christmas Day (December 25, Monday) at 11:00am. Please come and be blessed.